After an enjoyable day of explorations with my friends Mony and Alberto on January 20, 2012, two friends from work were arriving at the train station to join me for a couple of exciting days of Ottawa travel adventures. I picked Vanessa and Anoo up from their Via Rail train and we drove about five minutes to our abode for the next two nights. We had booked our rooms at the Auberge King Edward, a bed and breakfast located in a lovely large Victorian mansion. 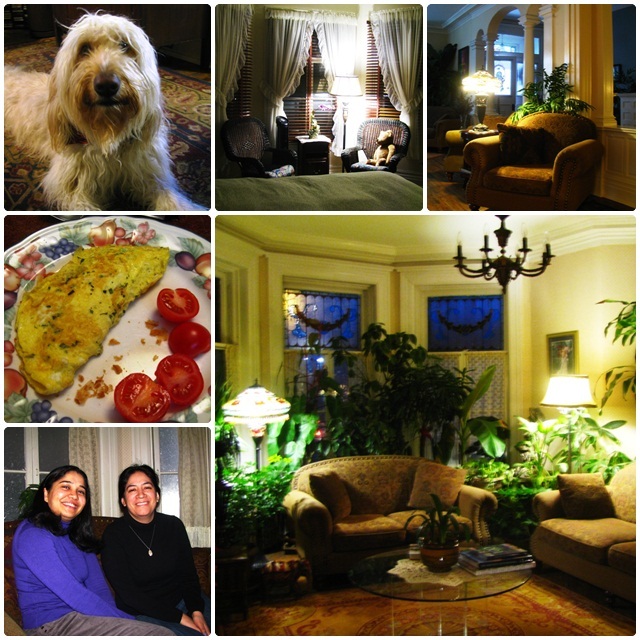 The King Edward Bed and Breakfast is located in Ottawa’s Sandy Hill neighbourhood, a convenient and central location. The Byward Market is just minutes away, while the University of Ottawa, Parliament Hill and downtown can also be easily reached on foot. During the 19th and early 20th century, this was the city’s most affluent neighbourhood, having been settled originally by some of Ottawa’s lumber barons. It features many large impressive homes of all sorts of different architectural styles. The mansion itself was built in 1902 for the owners of a feed and grain business who lived in it until 1973. Local neighbourhood activists saved it from demolition after the property had fallen into serious disrepair and was slated to be replaced by a high rise apartment building. With a huge investment and lots of elbow grease, current owner Richard Gervais turned the property into an attractive bed and breakfast in 1993 and since then more than 10,000 people from all over the world have stayed at the Auberge Kind Edward. 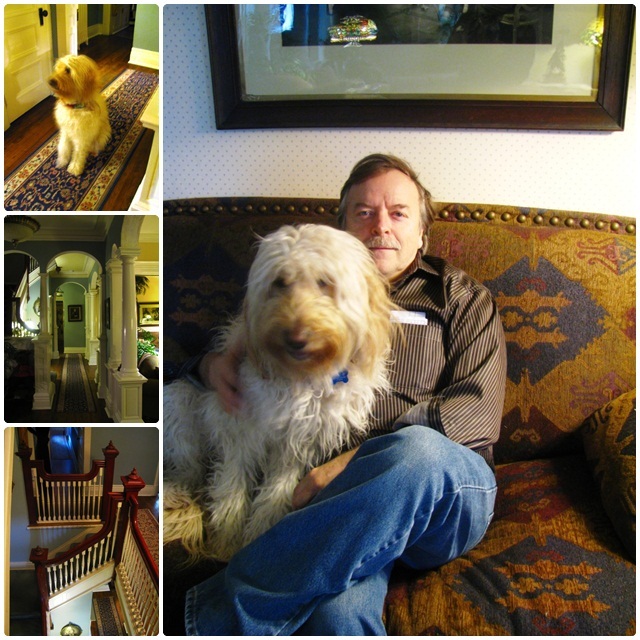 After we dropped our luggage off in the bedrooms of this large mansion, Richard and his loveable dog Sunny, a Golden Retriever – Poodle mix, welcomed us and made us feel right at home. We sat down in the living room and Richard demonstrated some of the special tricks he had taught to Sunny. We couldn’t help but fall in love with this friendly creature that was frantically searching for the little rubber ball that Richard had hidden from him. It didn’t take him long to sniff out his little treasure and fetch it back to his owner for another round of hide and seek. We discussed our sightseeing plans with Richard and he gave us a lot of input and even looked up opening hours and admissions of different museums on the Internet for us. In a relaxed conversation, we got to learn a lot more about Richard, for example that he is a world traveller himself and has recently travelled to Turkey and India. On our second day we got a very filling breakfast that kept us going for our Ottawa travel and sightseeing program until the mid-afternoon. The fresh croissants were particularly delicious. Richard also introduced us to “Kiwi”, his brightly coloured parrot who also has a few tricks up his sleeve. We had picked a great home base for our explorations of Ottawa.